Brandon talks about giving one's power away, figuratively speaking, since as sovereign conscious beings humans cannot really give their power away; we can only believe that we have done so and in the process cause ourselves distress over imagining ourselves disempowered. He also shares a great Bashar clip that speaks on this a propos of often-feared "chemtrails". Dani Felt is a music marketing coach as well as founder of the "Artist Plugin Program", an online artist development academy to promote musical artists and help them "bring their music mindset to the next level". Jonathan Fink is entrepreneur and author of the book "The Baseball Gods are Real", a true story about baseball and spirituality, and the founder of an investment firm aligned with high spiritual principles. He is also a happy and proud husband and father, and his wide-ranging interests include the music industry, martial arts and of course baseball. Brandon talks about exciting perspectives that often run counter to what the default world tells us, like "feeling" instead of thinking our way through tricky situations, and also touches upon the perspective that beings on the "other side" hold about earthly life, sharing clips by Abraham-Hicks and Bashar to further this point. Richard Haight is a martial arts expert and spiritual teacher who has published several books including his best-selling "The Unbound Soul", and in this interview he shares with Brandon his unique life story that took him through a mystical Christian experience in his childhood, to learning about advanced martial arts techniques in Japan, and ultimately gaining a profound understanding of the meditative state to help attain calm and presence in the most challenging situations. Brandon talks about syncing up with the "divine order" of the Universe, a new perspective that many people all over the world are learning to apply to their plans and their lives, by sensing the subtle nuances of high-frequency energy work. He also shares an Abraham-Hicks clip on this called, "When it feels like struggle, give it a rest" that expounds on this exact same idea. Erica reads from Chapter 12 of "Return of the Bird Tribes" by Ken Carey, a highly recommended book published over twenty years ago. This chapter talks about the "Great Day of Purification" which we also understand as the current ascension process we're undergoing collectively, and is perhaps one of the most beautiful and powerful chapters of these amazing writings inspired by spirit. Brandon talks about the blurry lines of boundaries and where they fit in with the idea of oneness. He also shares a clip of Teal Swan breaking down the topic in great detail. Anthony Peake is a leading-edge scientist seeking to back up a consciousness-based model of reality with as much data as possible, and this has led him to write several books on the relative nature of time, the possibility of life after death and other fascinating mysteries that we are now collectively beginning to solve as a species. The charismatic Charis Melina Brown rejoins Brandon to talk about "leveling up" in life, a concept tied to gaming that could also be equated to the "ascension" process that humanity is undergoing, and which comes with its own set of challenges that are unique to this time in history. She also gives a sneak peek into her upcoming book "Starseed Wilding". 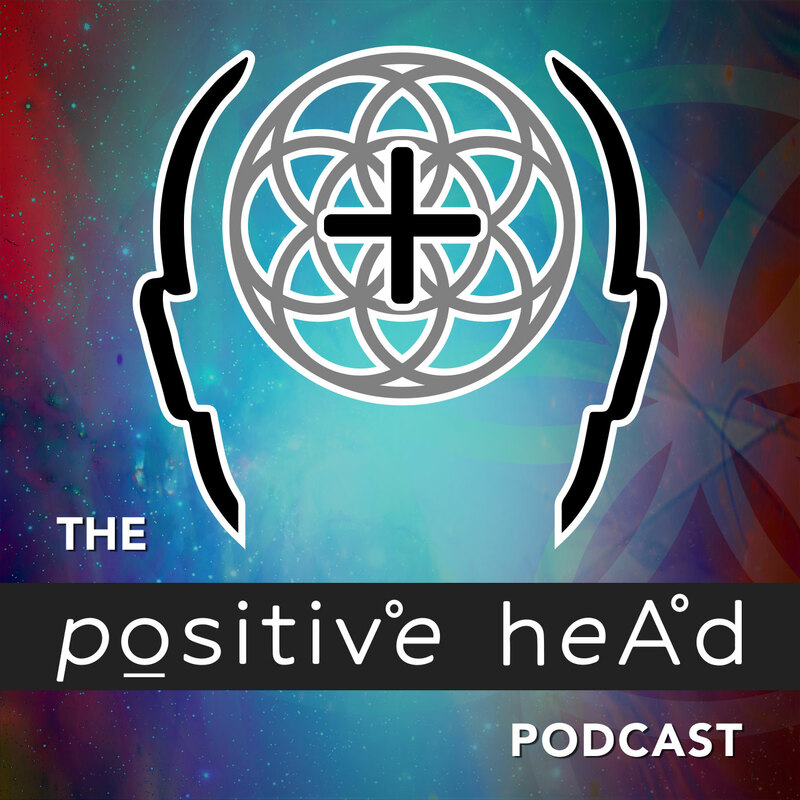 Brandon talks about conscious frequency elevation, a practice that ought to be the cornerstone of anyone's spiritual evolution but which also "looks" different for each of us, depending on our own personalities and circumstances. He shares a TEDx talk from Joanna McEwen at the University of Brighton titled "Why raising your vibration increases serendipity" and follows up on the data and ideas presented that back up these practices. Alexa welcomes Ambrosia back to her Friday series for the third time, and the two ladies celebrate 100 episodes of their own "Innerbloom" podcast as well as reflect back upon their journey connecting through Positive Head, Ambrosia embracing her unique abilities and working with Alexa to further hone and deliver their messages to the world, particularly those of the collective being known as "John". Brandon talks about the intrinsic meaninglessness of life, a great blessing on our path of self-realization as it allows us as creative beings to decide its significance. He also shares an Osho clip based on this aspect of reality, titled "There is no goal". Celebrated author Ayn Cates Sullivan is highly learned in the mythology of the British Isles, and in this episode she gets mystical with Brandon talking about ancient druid-shamans and pagan Earth-goddesses, magic places of power in Britain and Ireland, and their connections to universal archetypes that are being currently being activated on a global scale. Brandon leans into this quote from famed philosopher Socrates and uses it to give his take on the states of awe and wonder, in order to answer a listener question and in hopes of giving those currently "lost" in the darkness of pain and forgetfulness, a reminder on the nature of contrast and the relativity of what we call "bad". Brandon talks about the process of taking the proverbial "leap of faith" in life, a relatively well-known dynamic by now, whereby an individual steps outside his or her comfort zone and finds that they have taken an immensely rewarding chance in the long run, despite any passing hardships they also endure. The final in this mini-series of daily episodes, Brandon shares another of Richard Rudd's Ecstatics focused on a historical figure who, as Richard says, "found the answer to the question of love". This time the personage examined is Walt Whitman, preeminent American transcendental poet from the nineteenth century. Summer McStravick's unique contribution to life is knowledge of "Flowdreaming", which she gives the audience a taste of during the episode and is almost exactly as it sounds, based on highly intuitive, creative dreamlike states of being. She also has the distinction of having co-hosted with the venerable Dr. Wayne Dyer on a nationally-syndicated show, and being the daughter of early podcast guest Venus Andrecht (#196).